Why Does Your Surface Pro Keep Restarting? Usually, when a computer gets stuck in a boot loop, the problem has to do with the operating system. Some file the O/S needs to access in order to complete the startup process has become unreadable or otherwise doesn’t make sense to the O/S anymore. This causes the O/S to go back to square one and start over. Sometimes this fixes the problem because that file had just gotten a momentary hiccup and now it’s fine. 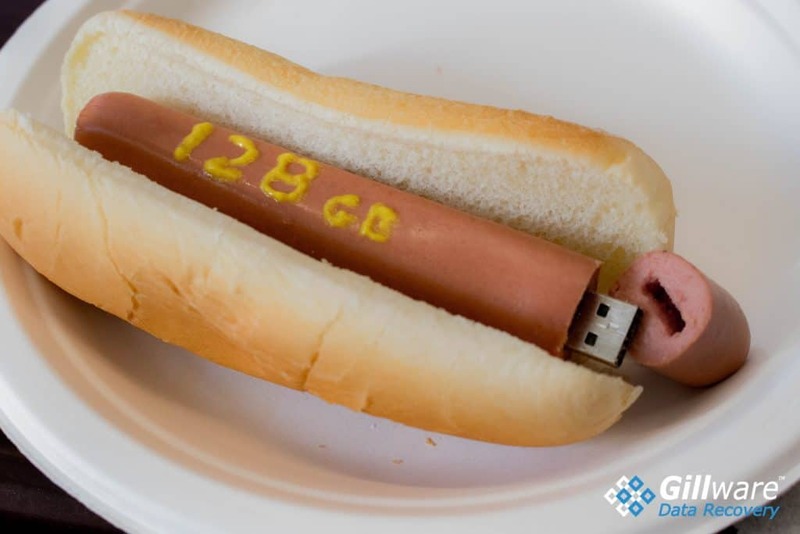 Sometimes the problem with the file is more permanent. In this case, the O/S reaches the point where it failed the first time, fails again, and goes back to square one. It does this again and again until you tell it to stop. Surface Pro 4 in a boot loop, and you need data from it? Gillware can help. In many cases, Microsoft Surface Pro 4 boot loops have easy solutions. Press and hold the Surface Pro power button for 30 seconds. Press and hold the volume-up button and the power button simultaneously for 15 seconds or more, then release both buttons. The Microsoft Surface logo will flash at some point, but do not release the buttons until at least 15 seconds have passed. Press the power button on its own to turn on the Surface Pro tablet. This causes a hard reset and momentarily loads the UEFI (Unified Extensible Firmware Interface). In many situations, this alone can often fix whatever problematic file is causing the boot loop and snap the Surface Pro 4 tablet out of its funk. Sometimes, though, slightly more drastic measures are required. Computers and tablets and phones can do math very fast, which makes them look very smart. But they still cannot think or make decisions the same way we (or even a dog or cat) can, although their mathematical prowess can make it seem otherwise. The truth is that for the most part, our computers, phones, and tablets are actually idiot savants—in other words, very stupid. Why Is Your Surface Tablet is Stuck on the Surface Screen? If your Surface tablet is stuck on the Surface screen, your tablet is stuck in a boot loop. These loops usually happen because of a problem with the operating systems. As a result, users tend to end up in these frustrating situations after a Microsoft update goes wrong and inadvertently messes up a critical file. But these situations can also occur due to a failure of the data storage device itself (in this case, a PCIe SSD). If a hard reset doesn’t work, you may have to boot from a recovery USB drive. First, create a recovery USB for your Microsoft Surface Pro 4 tablet. Next, you’ll want to boot into the UEFI and stay there. Press and hold the volume-up and power buttons until the Surface logo appears to enter the UEFI. Once there, choose your recovery USB drive as the primary boot device. Booting from the recovery drive gives you access to system repair tools that can often fix whatever ails the operating system. If you can’t fix your tablet on your own, you might need professional help to retrieve any important files from it. Our client in this tablet data recovery case had a Microsoft Surface Pro 4 tablet stuck in an endless boot cycle. We’ve encountered boot loops in Windows devices before. Usually these situations aren’t dire enough to require a trip to a data recovery lab. But sometimes boot loops can happen due to a failure of the device’s storage medium, such as a hard disk drive or SSD. In these situations, it requires the expertise of data recovery specialists to recover the user’s data. Most of the time this method will work when your Surface Pro keeps restarting. 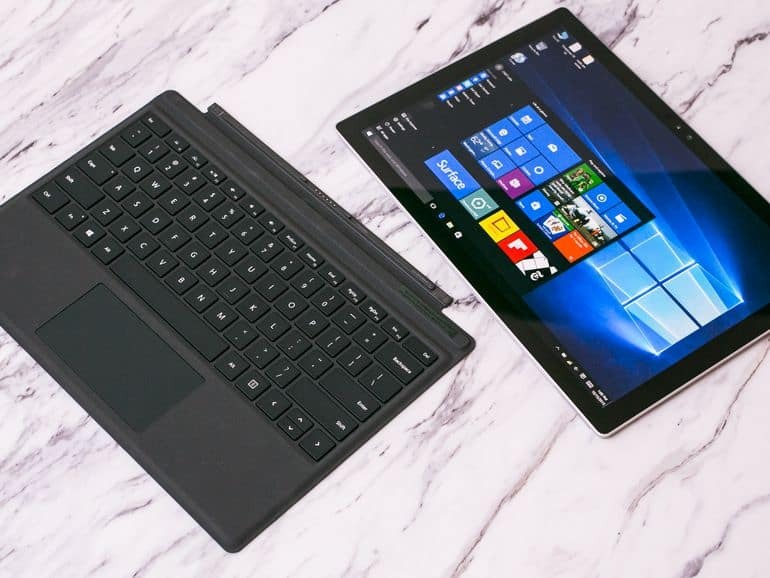 Since the Surface Pro 4 tablet made its way to our tablet data recovery engineers, though, it was obvious the easy ways to fix a Surface Pro 4 boot loop hadn’t worked out so well. Now it was up to us to recover our client’s data. 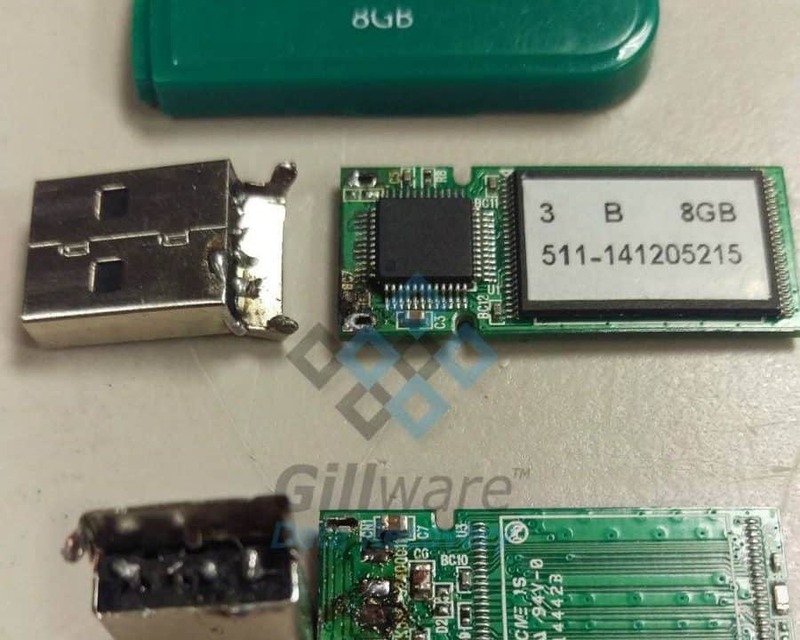 We quickly deduced that the flash memory device inside the Surface Pro 4 tablet had failed. All tablets use flash memory in lieu of the hard drive found in most computers. The type of memory can vary from brand to brand. Some use the same type of eMMC chip found in mobile phones. Others, like the Surface Pro, use PCIe or M.2 SSDs. The PCI SSD our tablet data recovery expert needed to fix to solve our client's Microsoft Surface Pro 4 boot loop issue. 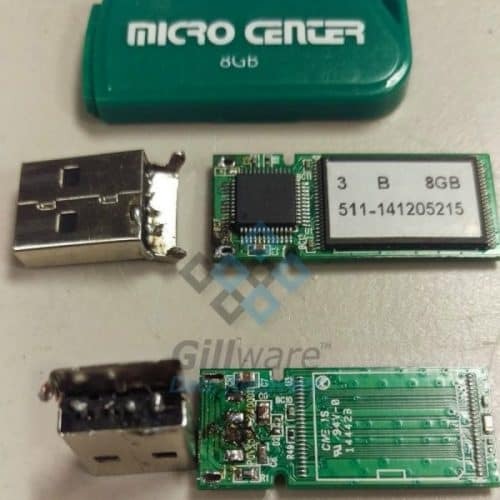 Cody, a tablet data recovery specialist here at Gillware, found that a failure of the SSD controller was preventing us from accessing the SSD through an external recovery environment. From prior experience with Surface Pro tablets, Cody was prepared to deal with one of two possible tablet data recovery situations. Either the SSD’s firmware needed fixing, or there was a short somewhere on the circuit board of the PCIe SSD. In some situations, making these repairs requires Cody to completely dismantle the tablet. Unfortunately, dismantling the tablet to get at the SSD would render the tablet utterly unusable, as it would require destroying the LCD screen. This used to be a more common procedure. However, thanks to new developments in our lab, Cody can salvage data from tablets suffering from these sorts of problems without fully dismantling them. With the client’s consent, Cody dismantled the Surface Pro 4 tablet and got to work. 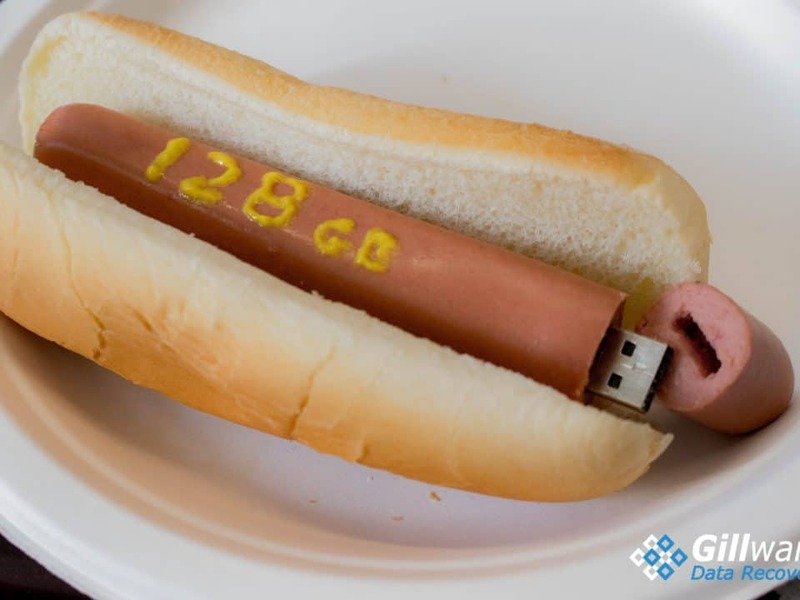 Once he’d fixed the SSD’s firmware issue, he could salvage all of the client’s critical data. We rated this tablet data recovery case a 10 on our ten-point case rating scale.